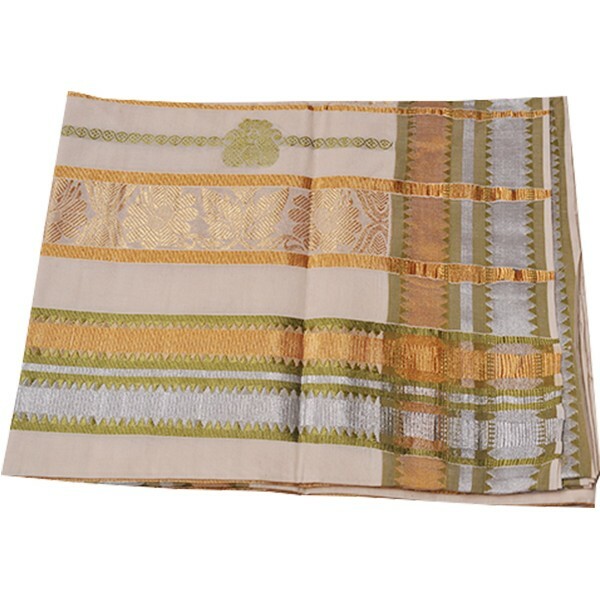 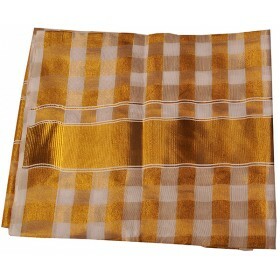 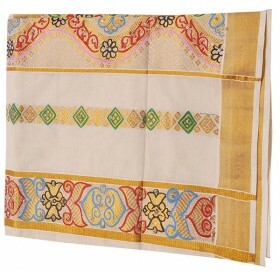 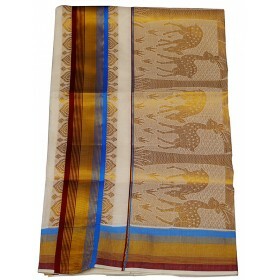 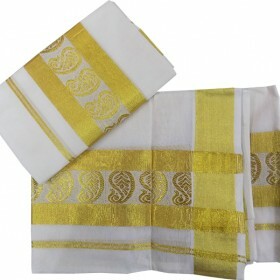 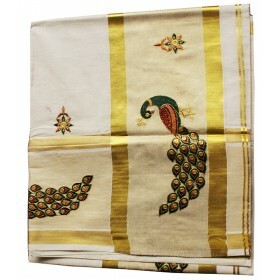 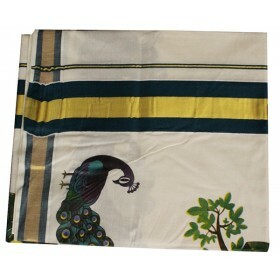 Kerala traditional kasavu sari with silver, golden and rich green combination. 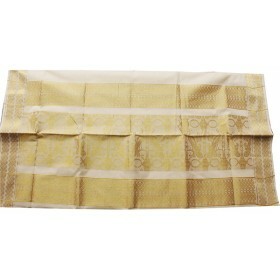 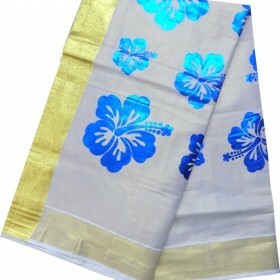 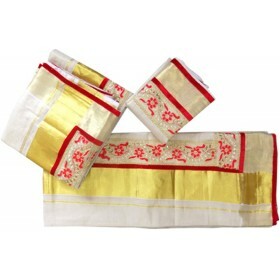 The elegant silver and golden jari gives the saree look very pleasant attire for all the occasions. 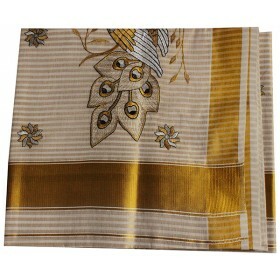 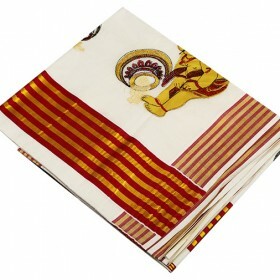 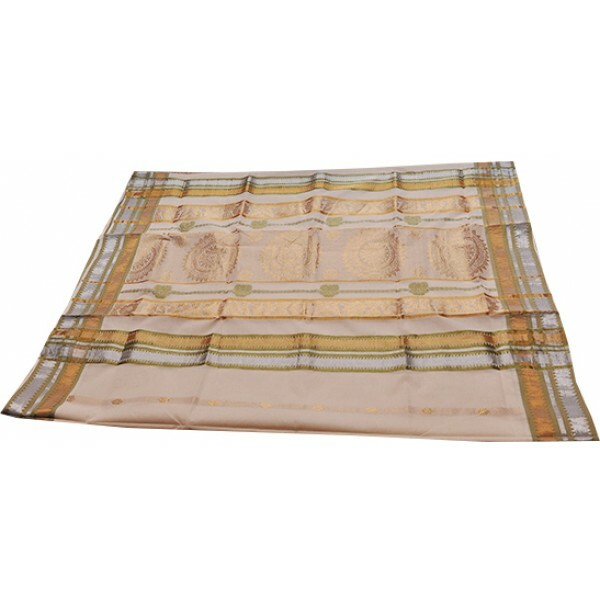 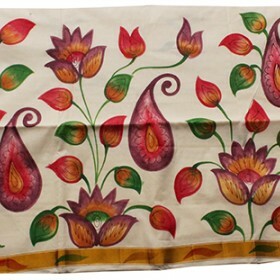 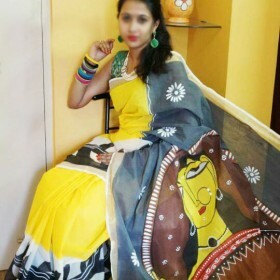 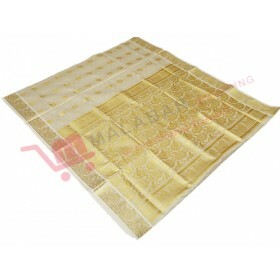 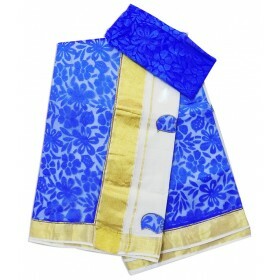 4 inch lengthy border with attractive designs on the pallu and 6.25 meters length are the speciality.